These heavy duty steel sofa table legs are ready to bolt on to your favorite custom table top, reclaimed plank, or live edge slab! They are clear coated for protection, are extremely sturdy, and would add a sleek touch to your home, loft, or office. 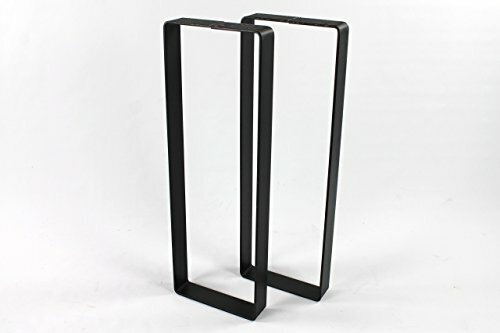 These legs are sold as a SET OF TWO. If you would like a custom size, please leave a note at checkout: Specify height: 26"-30" and specify width: 8"-12". No extra charge for legs that fall within these dimensions.